We completed another sports floor installation for Freedom Leisure at their Flash Leisure Centre site in Welshpool. 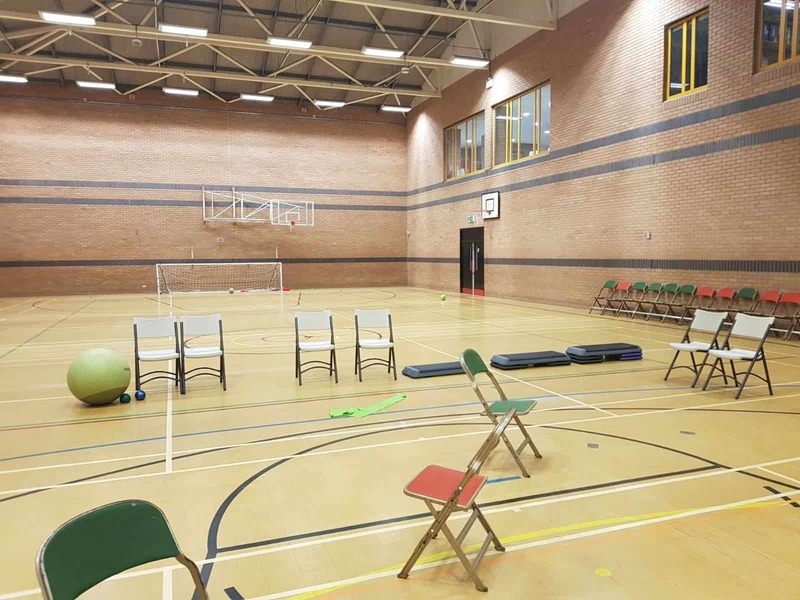 We have a great relationship with Freedom Leisure because we recently installed sports hall flooring at their Brecon Leisure Centre site, which they wanted to use as a blue print for Flash. Flash Leisure Centre had a dated Granwood sports hall floor that desperately needed replacing. Most importantly they wanted an up to date compliant sports surface. Although the old Granwood floor was generally ok (structurally), we had to deal with various challenges including the sub floor, door and under floor heating. We therefore quickly overcame these challenges and we put a sports floor specification together. This was tailored to Flash Leisure Centre’s user type and activity type. 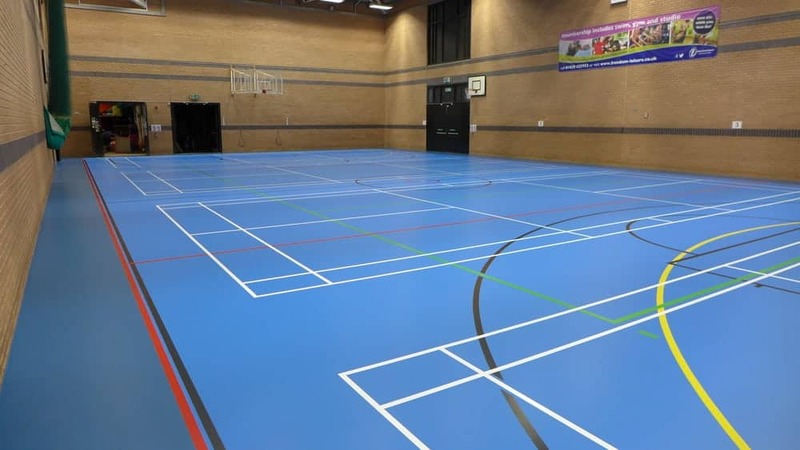 The chosen sports hall floor product was a seamless polyurethane system in a striking blue colour. Flash Leisure Centre also opted for a dark blue border which really gave the sports floor the finishing detail it needed. The polyurethane sports floor system is a point elastic floor and is EN14904 compliant. The installation was completed on time and on budget. As always it was a pleasure working with the team at Freedom Leisure. Flash Leisure Centre is a fantastic site which has a sports hall, gym, coffee shop, swimming pool, fitness classes and a bowls hall. Flash is managed by Freedom Leisure, who operate around 90 leisure centres. Freedom Leisure is a genuine, pro-active and innovative leisure trust and is led by an experienced, dynamic, entrepreneurial and focused Executive Management Team. Their approach is to provide their partners and customers with a bespoke and unique service that will inspire and excite their communities and increase participation wherever they are.